Sadie Green, 11, christens the Thatcher Island I with a bottle of Twin Lights ginger ale. 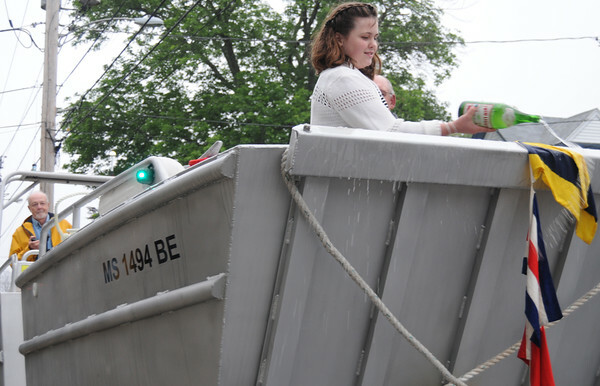 The Thatcher Island Association's new 24-foot aluminum boat was designed by Response Marine and built by Viking Welding in Kensigton, N.H. Green is the grandaughter of Tom Eldridge, head boat driver for the association. Monday's rainy night failed to keep the 40 or more members from attending the ceremony at the Rockport Community House on Broadway.